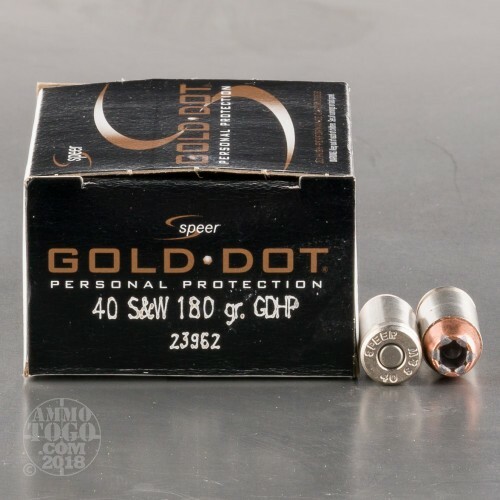 This 40 S&W cartridge is from Speer’s Gold Dot line of ammunition. If you want a round you can trust to neutralize even the most tenacious threat fast, then you want a Gold Dot. This cartridge’s 180 grain projectile has a hollow cavity which has been formed via a two-part process. In the first, the diameter that the bullet can expand to is determined; In the second, its rate of expansion is preset. As the result this bullet leaves little to chance when it comes time for it to create as gaping a wound cavity as it’s able to. 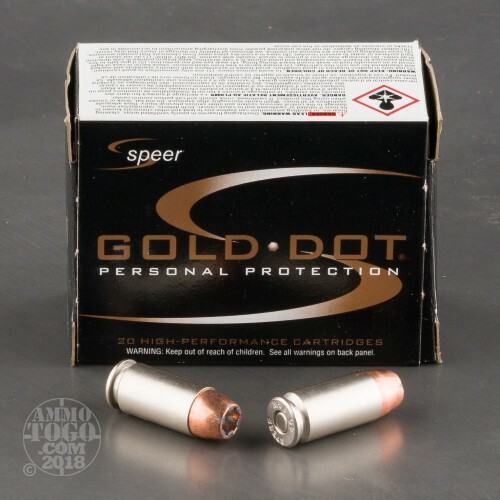 A Gold Dot bullet’s jacket has been applied to its core one molecule at a time via Speer’s proprietary electrochemical process. Because of this the jacket is not only remarkably uniform to promote stable flight, but also tightly bonded to its core for assured weight penetration. 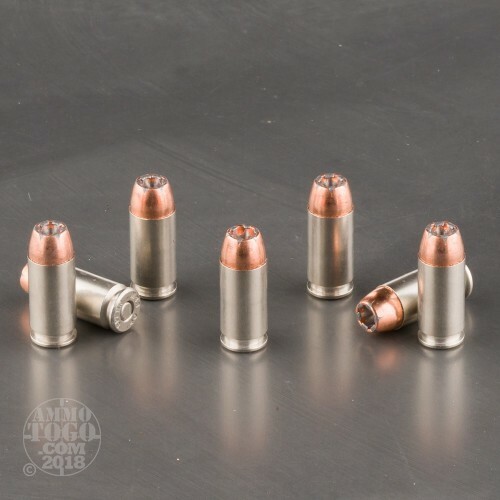 This round’s brass casing is plated with nickel to enhance its lubricity as well as its visibility, and its CCI primer is sensitive enough that you may confidently count on it in a perilous situation. 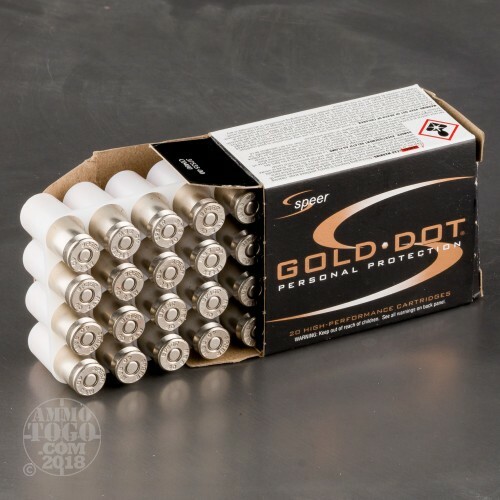 Many cops rely on Gold Dot to keep themselves safe on the streets -- why not you, too?